I really dropped the ball on Halloween decorations this year and my kids were NOT happy about it. Apparently mums, one witch hanging on the door, a spider on the mailbox and pumpkins purchased the day before Halloween did not cut it. What can I say? As much as I love Reese’s, Halloween is not a season that I like to fully immerse my entire house into. But the holiday season? Kids, I will redeem myself. 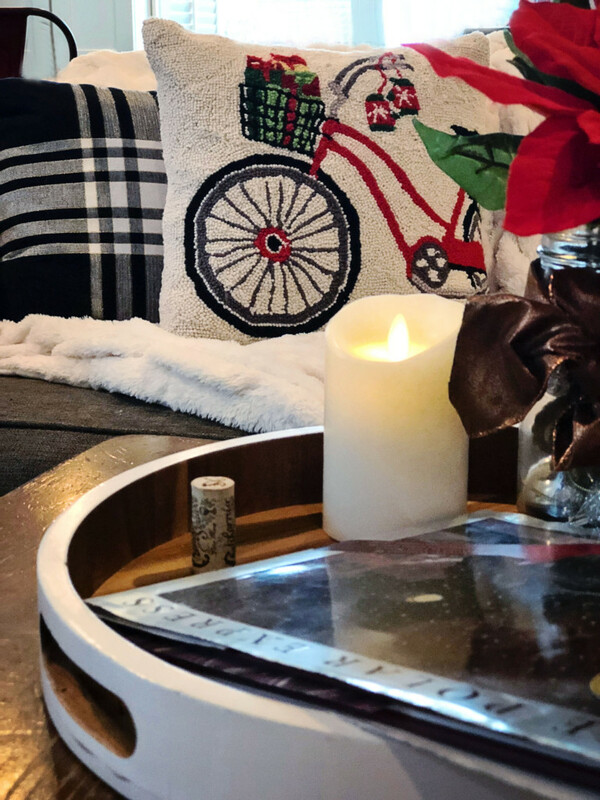 When it comes to holiday decor, I like simple, classic and spirited pieces that spread the joy, but don’t overwhelm my house. 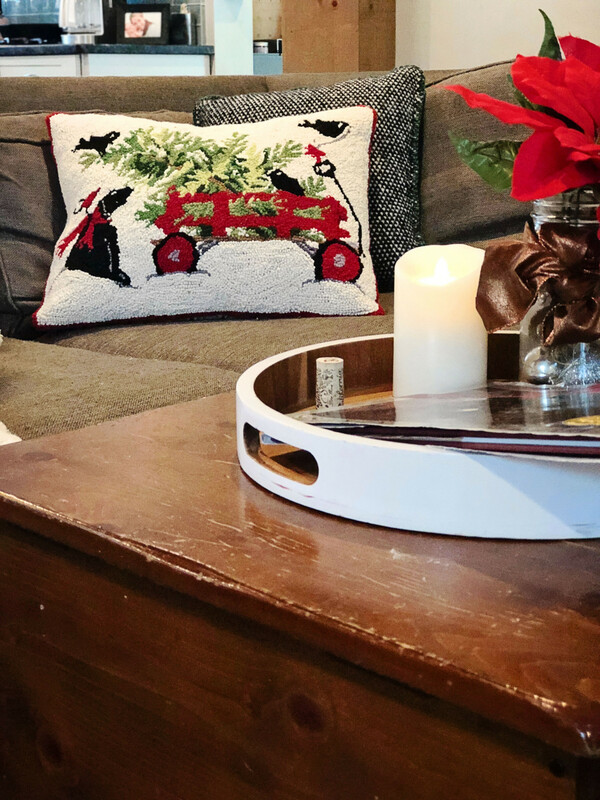 I gave my living room a major holiday inspired makeover by incorporating in some new pieces from Soft Surroundings. 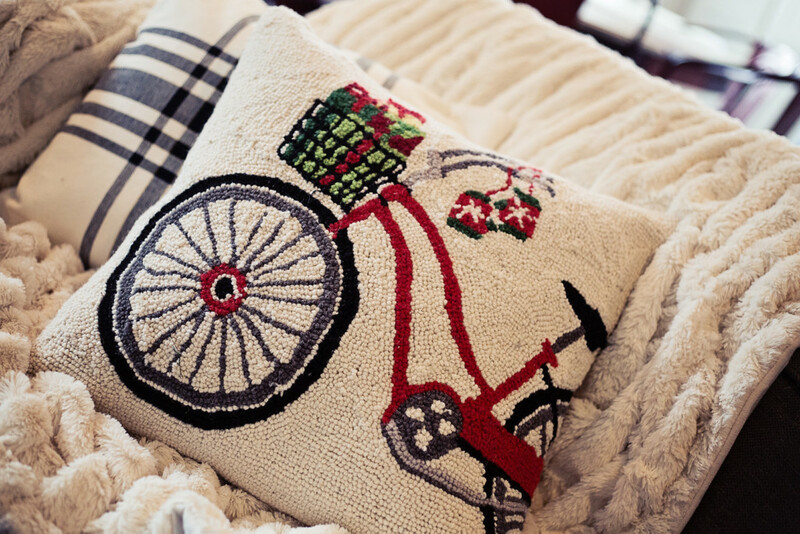 It really is the little things – accent pillows, cozy throws, pretty candles, that can make all the difference. Oh, and I also scored major points with my kids. Now I just have to deal with answering their incessant, “How many more days until Christmas” questioning. 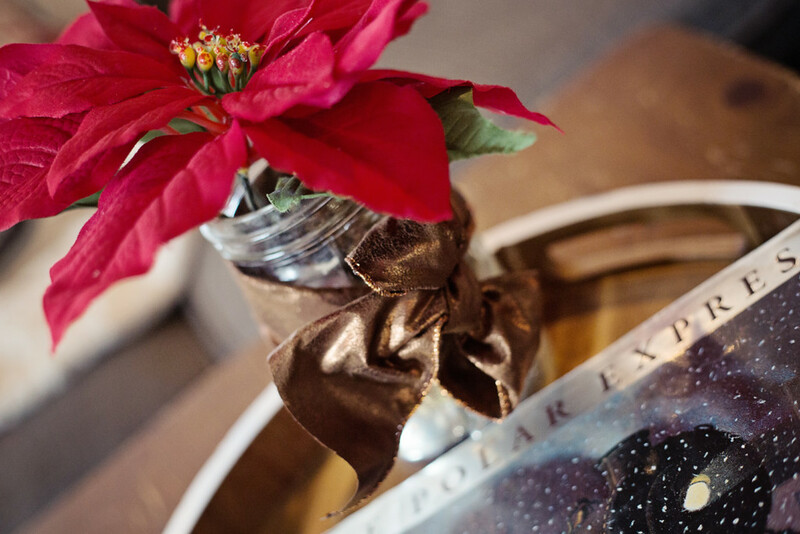 Here is a mini tour of 5 things I did (so far) to decorate my home for the holidays…. 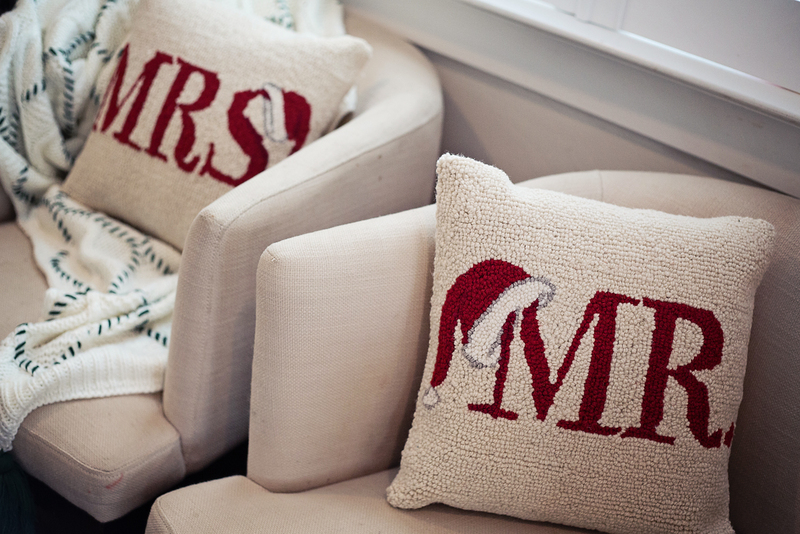 One of the easiest ways to get your house ready for the holidays is to swap out your throw pillows. I love the vintage scenes on these in particular (the bicycle one and the wagon), and my small chairs were just begging for the Mr. and Mrs. ones….. Replace your blankets with something luxurious. This season is all about snuggling and this faux fur throw is just added bonus. It adds major cozy factor to any room – just add music and a fire. Glass of wine wouldn’t hurt, but then I might never get up. These blankets also makes a great gift! 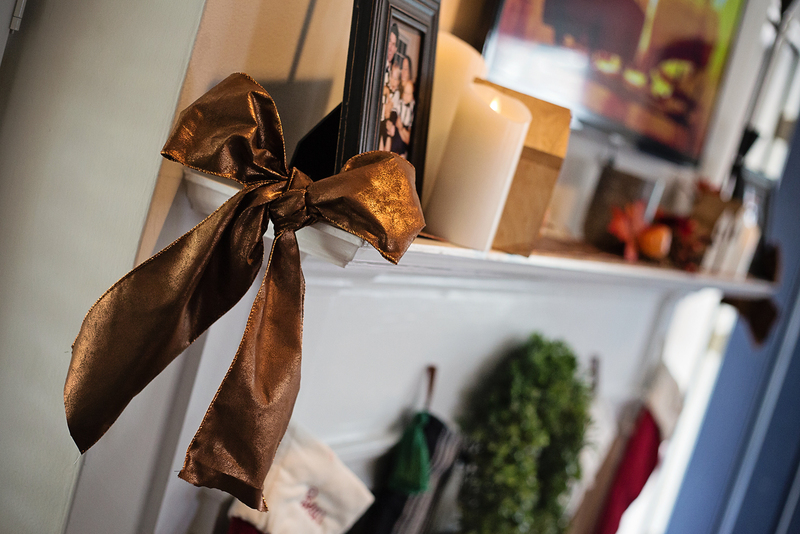 An inexpensive way to spread a certain motif throughout your house, is to get creative with ribbon. 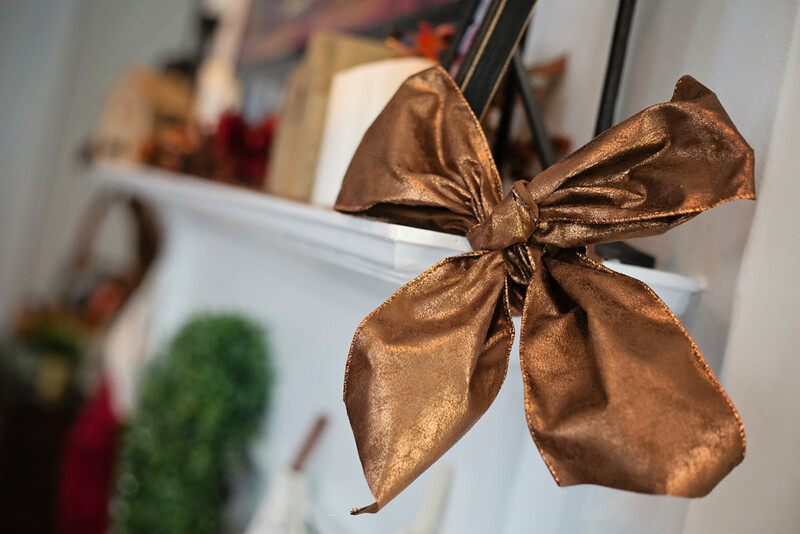 Whether you use it as a mantel runner (sorry, couldn’t help myself with the bows on either end), or wrapping it around vases or other fixtures around your house, a roll of ribbon can go along way. I love the weathered look of this “leather” ribbon and also plan on using it on my tree and wreaths when we get them. 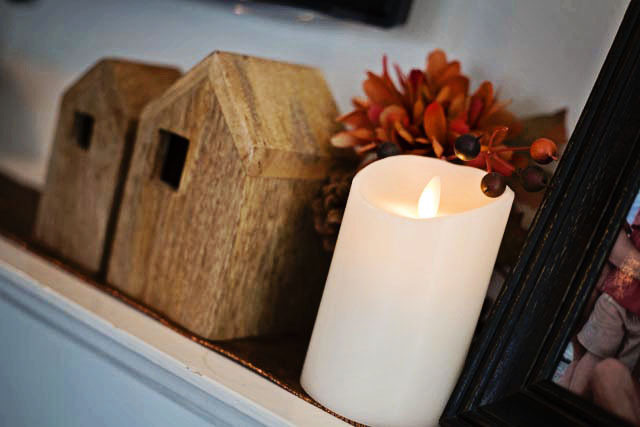 Nothing sets the mood like candles….flameless ones of course. These are gorgeous and come in a set of three. With the press of a button because, yes, they come with a remote, they are the perfect finishing touch for my mantel. While my front door is only partially ready for the holidays – thinking I still need some greenery and maybe a vintage sleigh propped next to the door for starters, a festive doormat is a no brainer. 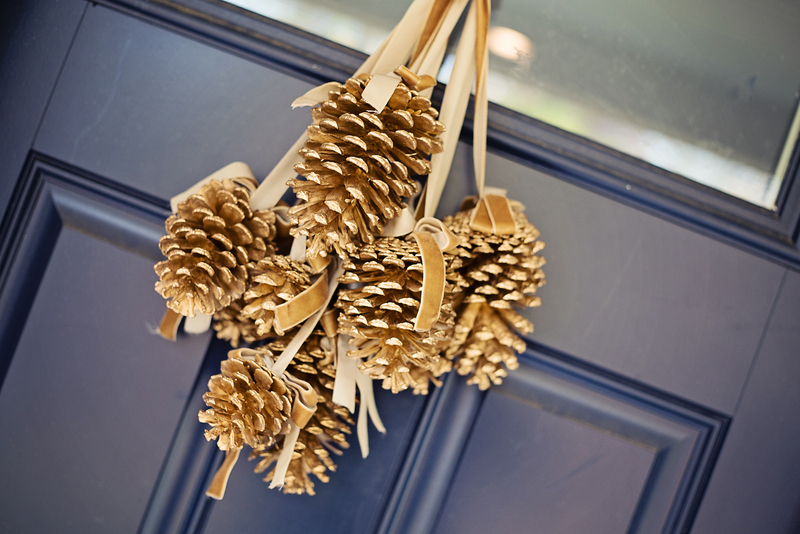 In place of an exterior wreath, I am loving this pinecone drop strung together with velvet ribbon. And that’s it! You can shop all of these featured pieces at Soft Surroundings here. I’ve found that with some holiday decor, my kids love it, but for me it’s a little shall we say…… over the top (think, blinking lights, things that make noise, or worse, things that sing songs when you walk by and scare you half to death in the middle of the night. Yeah. Those things). 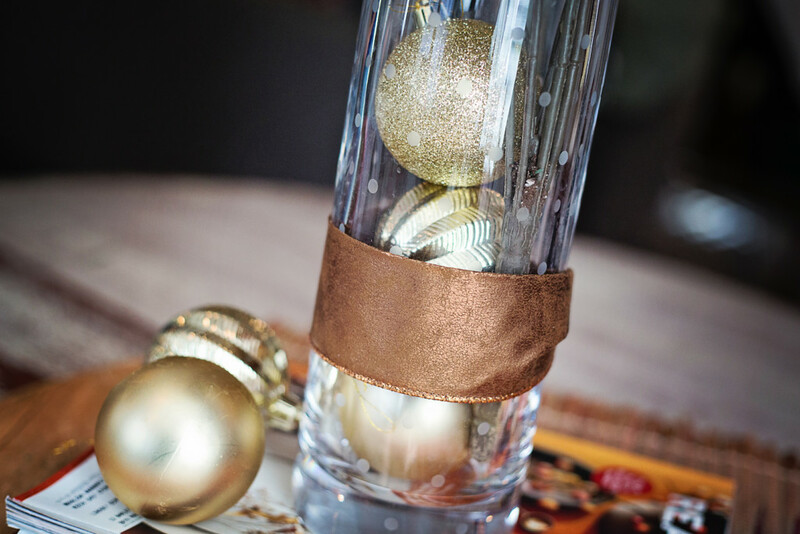 These, on the other hand, are holiday decoration we can all agree on. Festive, cozy, classic. 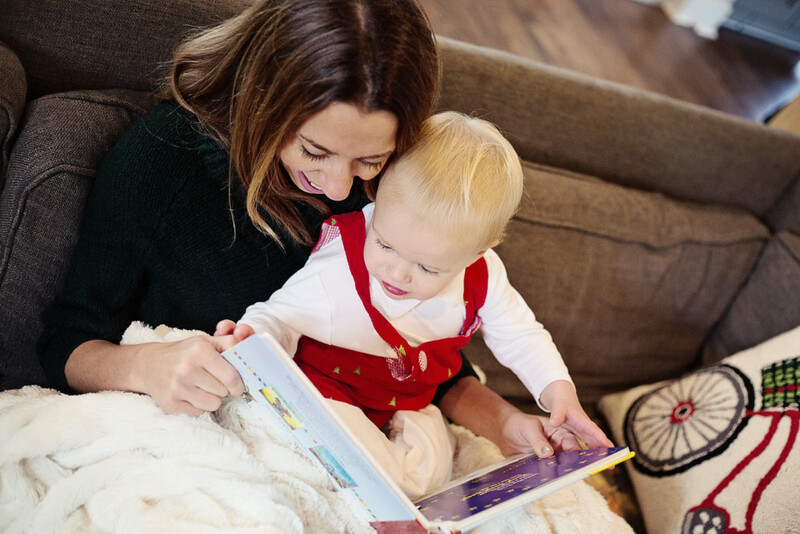 Thank you to Soft Surroundings and ShopStyle for sponsoring this post. All opinions and selections are my own.